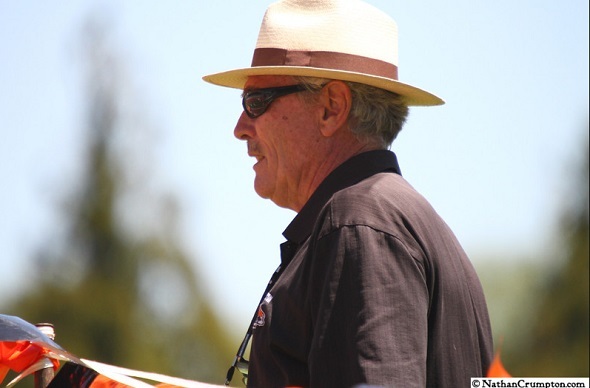 It was announced this yesterday afternoon that longtime head coach of the Princeton women’s cross country/track & field program, Peter Farrell, will be retiring at the end of the 2015-16 academic year. According to TigerBlog’s Jerry Price, the announcement started with Farrell pretending to stab himself with a fork, saying “You know, as in stick a fork in me – I’m done”. Farrell was brought on as the women’s head coach back in 1977 to start up the women’s program. He had previous experience in this field as he began the track program at Christ the King High School in New York a few years prior. Since being at Princeton, the Lady Tigers have won 27 Heps team titles, 55 All-American accolades, 1 NCAA title, and 182 Heps champions while being under Farrell’s tutelage. In addition, Farrell is the only Ivy League women’s coach to have ever won a “Triple Crown”, which was done twice during his tenure – in 1980-81 and in 2010-11. We can go on and on about his accomplishments as a head coach, but it can be better summarized in his coaching biography. If anything, he will be hard to replace and Princeton’s men’s head coach and friend Fred Samara agrees. “Thirty-nine years ago both Peter and I arrived on the Princeton campus… I’m sure neither of us thought that we would coach for that long a time. Peter’s coaching record speaks for itself, he’s a Hall of Fame Coach. What has impressed me through the years is how he interacts with his team and handles every problem that may arise with wonderful consistently and understanding. Peter leaves Princeton with a legacy that will be hard to duplicate,” Samara shared with Princeton Athletic Communications. Guess it’s only appropriate that Coach Farrell’s final Heps Championships will be hosted at Princeton. It should be quite a retirement party. I want to wish Peter well in his next step in life, which I can only assume will be hanging out in parks or barbershops just talking to anyone who will listen. But seriously, Peter is a wonderful guy who has never lost his sense of humor. I’ve been lucky enough to watch Peter and coaches like Betty Costanza, Mark Young, Nathan Taylor and Peter Haggerty trade barbs and laughs in the lounge of the Statler Hotel before Indoor Heps. That camaraderie, even at the height of competition, should be a model for coaches. From all of us in HepsNation, congrats Coach Farrell. This entry was posted on Friday, April 8th, 2016 at 10:38 am. It is filed under Athletes, Princeton, Spotlight. You can follow any responses to this entry through the RSS 2.0 feed.